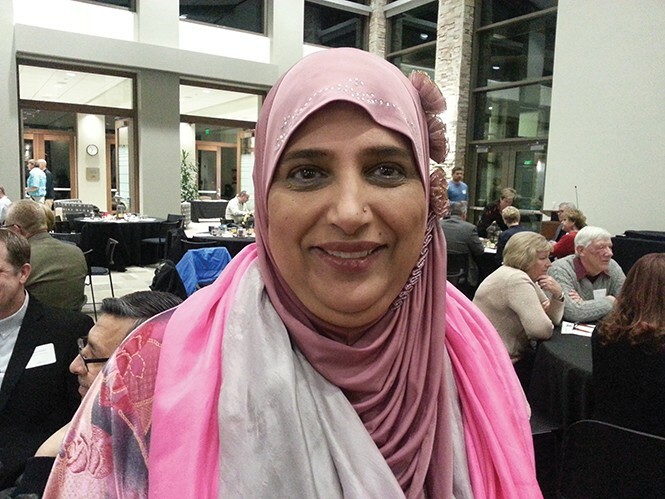 Noor Ul-Hasan immigrated to California from India at age 2, moved to Utah in 1989 and is well known throughout the Salt Lake Valley as a Muslim leader, community activist, nonprofit organization founder, radio host, busy public speaker, wife and mother. You recently were given yet another award for public service, this time by the city of Cottonwood Heights, in the very same week that you were one of the principal organizers for Utah Women United at the Capitol. Isn't that a bit incongruous? Well, no. Both activities reflect an interest in protecting conservative family values shared in my Muslim faith as well as by my friends in the LDS community and other faiths. Reflecting our shared values to help others, I have served the Cottonwood Heights Board of Adjustments for all 13 years of our city's existence. Helping organize the Utah Women United march to the State Capitol on the first day of the 2017 legislative session reflect these same values by telling Utah elected officials that their original opposition to the misogynist Donald Trump was the right call. My participating in the Washington, D.C., march against the way he portrays women does that, too. The faith values we all share extend to your other activities, as well. Tell us about them. Along with my husband, I am one of the founders of the Salt Lake Interfaith Roundtable, which we created for visiting athletes during the 2002 Winter Olympics. We kept it going and now we have 150 members from numerous faith-based and other organizations. February is Interfaith Month and the Interfaith Roundtable has created a very busy and inclusive calendar with so many groups. And, just after Thanksgiving, I became part of Refuge Justice League of Utah, founded by the law firm of Parker & McConkie and 70 pro-bono local attorneys who help refugees with issues even more critical since the Trump election. I am outreach coordinator and I am signing up community, school and religious organizations to help get to those in need. Tell us about your radio program and public speaking. I co-host KRCL 90.9 FM's Radio Active program Tuesdays from 6-7 p.m. This is a community program that reviews local current events, such as weekly updates of the Legislature. And I do a lot of public speaking at colleges and universities, high schools, LDS wards, and anywhere where people would like to know more about what Islam is, and women in Islam. I am a go-to person for Islam information. You do a lot. How do you have the time for all this? I'm just like anyone else. I'm a wife and mother of two who believes in family values. As we are taught, I stand up for those who are unable to stand up for themselves.